Doreen Green and her friend Nancy Whitehead have had a great idea: get some friends together and play an escape room! Sounds like nice, safe, wholesome fun, right? But when Squirrel Girl and Nancy gather Koi Boi, Chipmunk Hunk, Brain Drain and Kraven the Hunter inside and lock the door, it turns out that this escape room is actually lethal! Can they escape? 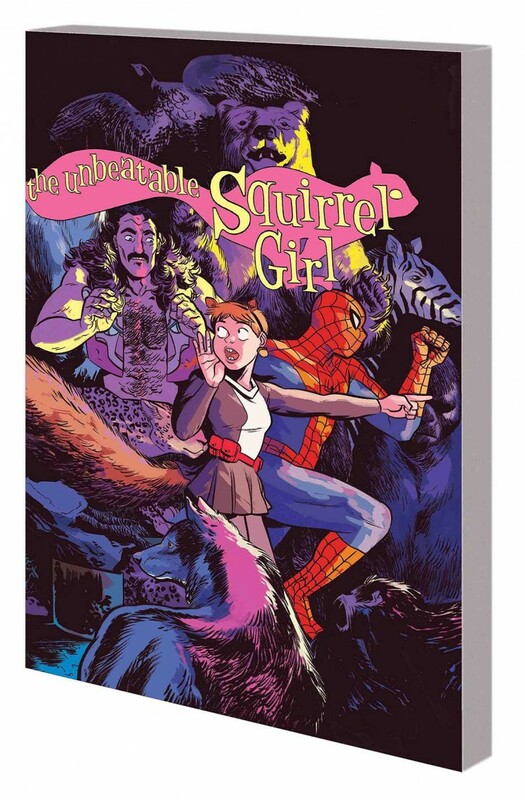 And if they do, will Squirrel Girl and Kraven just end up behind bars in the criminal sense?! Someone call ace attorney Jennifer Walters, A.K.A. She-Hulk! Plus: If Spider-Man were to fight his old rival Kraven once again (which he will), whose side would Doreen be on this time? And witness an Iron Man team-up for which there are, literally, no words!